How on trend is this DOLCE & GABBANA Boys Daddy and Me Black 'Sicilian Western' T-Shirt? 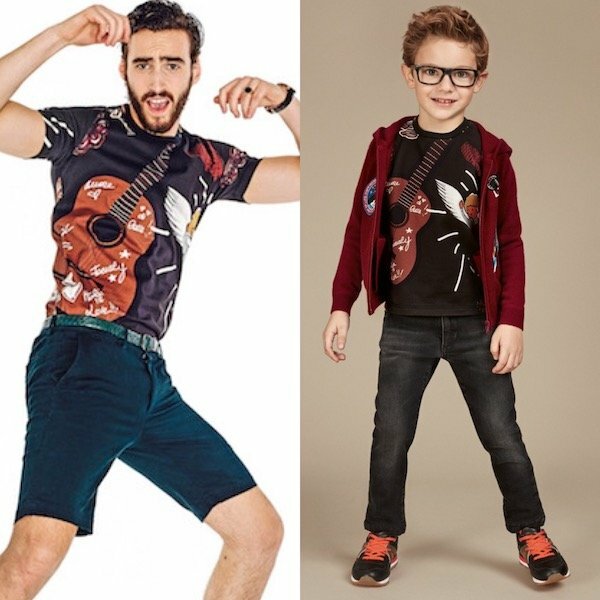 This boys black 'Sicilian Western' t-shirt by Dolce & Gabbana features a special D&G homage to Sicily meets the Wild West, with imagery of cowboys, guitars, hearts and flowers. Complete the look with a DOLCE & GABBANA Boys Grey 'Sicilian Western' Zip-Up Top, Boys Distressed Blue Denim Jeans, and DOLCE & GABBANA Boys Navy Blue Leather Boots. Shop this adorable daddy and me look inspired by the Dolce & Gabbana Men's Fall Winter 2016 Sicilian Western Collection featured on the runway at Milan Fashion Week.